By now it is pretty widely accepted that carbon plays an important role in soil health. It improves the nutrient holding capacity, nutrient cycling and water holding capacity of the soil. Although there are other ways of increasing soil carbon, for example the application of organic fertiliser and not tilling soils, the most effective way of building carbon levels in the soil is through roots. Root and shoot remains, which decompose and break down after a plant dies. Organic substances, mostly root exudates, that are released by roots during plant growth. Root hairs and fine roots which are shed during root growth. 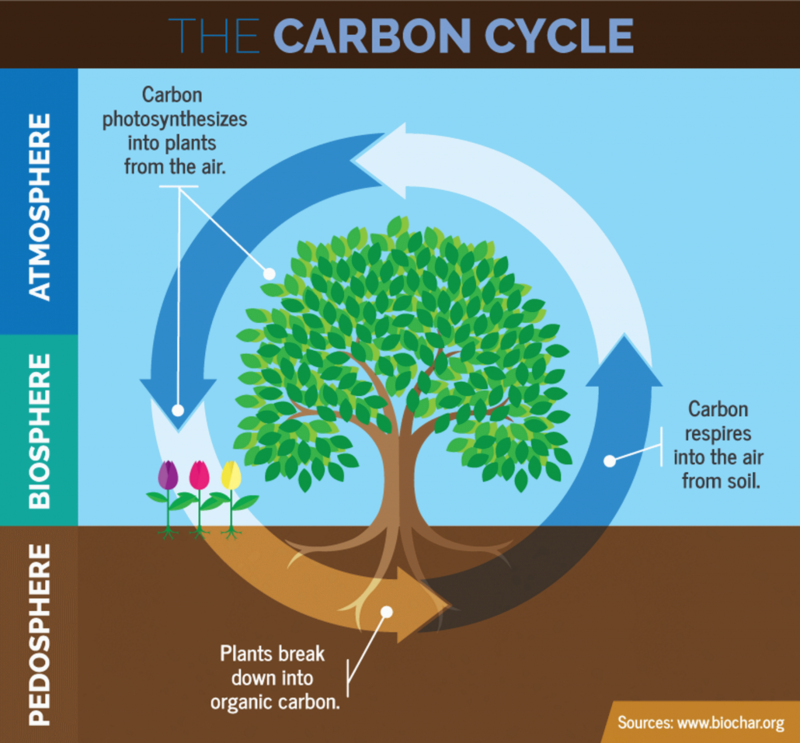 The original source of carbon in the roots is atmospheric carbon dioxide. Photosynthesis is a process which everyone has heard of, and probably studied at school, but I don’t think we fully realise and appreciate its uniqueness and value. Photosynthesis is a simple reaction between carbon dioxide from the air and water from the soil, using sunlight as an energy source and resulting in oxygen that is released back into the atmosphere and carbohydrates being stored in the plant. Carbohydrates predominantly consist of carbon, hydrogen and oxygen. In this way photosynthesis transforms a gaseous form of carbon (carbon dioxide) into a solid form (carbohydrates). Pasture plants have been found to move about 30-50% of the carbons acquired through photosynthesis into the soil. Of this amount, half can be found in plant roots, a third is released from root and microbial respiration and the rest is incorporated into the soil microorganisms or becomes soil carbon. The result of this whole process is that, on average, pasture plants are able to move around 2200 kilograms of carbon per hectare per year into the soil1. The amount of photosynthesis taking place in pastures is directly linked to the amount of growth. This is especially true when there is a large amount of leaf surface area. Large leaf area equals greater photosynthesis, which results in greater growth. The key in this process is that the initial growth of a plant after grazing uses energy, nutrients and carbohydrates from the roots, as there is no leaf surface area for photosynthesis to take place. That means that for the initial period of growth after grazing, there is not actually a transfer of carbohydrates into the soil, it is actually opposite. This is the reason why grazing pastures at the correct leaf stage is so important. Pasture grass must be left for a sufficient period of time between grazing to ensure that more carbohydrates (carbon) are transferred to the soil through photosynthesis, than were transferred from the root during the initial growth phase. Farm management practices should be geared towards facilitating this process of transferring carbon from the atmosphere to the soil. One of the most important mechanisms to doing this is good grazing management, which you can read about in this blog: Grazing management: The key to sustainable pasture-based farming. Kuzyakov Y & Domanski G. 2000. Carbon input by plants into the soil. Review. Journal of Plant Nutrition and Soil Science 163(4):421-431.